There's no real rules around this series. Just a one word prompt that we each reflect on. Where I go first with the word "Save" is money. I could talk to you all day long about saving money and debt free living. I already bombard you with my thrifted deals all the time. 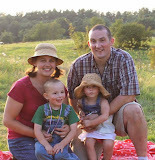 We walked the walk before we had kids-paying cash, cutting costs, making our own, dumping debt. We followed Dave Ramsey's plan and met our goal and became debt free (except the mortgage) before we had kids. (Random tidbit: We were even on Dave Ramsey's show on the Fox Business network to tell our story!). Saving money, although grand, isn't what I'm thinking about today. "Save" also makes me think of saving seeds and such. I have a whole box saved for next year. But saving seeds isn't want I'm thinking about today either. When I think of the word "Save", I think of that which is most important to me. Time. That's right, Time. I want to save more time. Life is busy, surely, but I work at saving time for that which is most important to me. What is most important to me? What are the things I do focus on carving out time for every week? My husband and children and family. Good, healthy, homegrown and homemade food for my loved ones. Exercise for me. (I currently squeeze in ~3 days, would love to save some more time for more). Why are errands not my thing? Because these are the types of things that take away from that which I really want to be doing. Think of this. Say you grocery shop weekly. Say it takes about an hour to write a list, go to the store, shop, come home and put the groceries away. If that takes you an hour every week, you spend 52 hours a year just going to the grocery store. But, if you can go every other week, eating fresh the first week, frozen the second, you'd go to the store 26 hours a year. This gives you an extra 26 hours that you can spend doing that which you like! That's a pretty good chunk of time. I think like this for all my errands. Do I really NEED to go? Is it something that HAS to be done straight away? Can it be done electronically or remotely? I find that I run errands so much less than before now that I'm mindful of how I want my time to be spent. I don't want to waste hours of my year doing needless things when I could be saving those hours for that which is on my list above. Saving those hours for that which is important to me. What else do I do to "save" time for that list? Going to grocery store every 2 1/2-3 weeks. Pharmacy/toiletry type runs only a few times a year. Not scheduling my family/kids with too many activities/social events. Making double batches and freezing. Stocking up on staples. Create something from nothing by looking through the pantry. Elicit my family to help do the chores that need to be done. Sometimes, even ignoring the to do list all together. Point is- time goes quickly. Make a list of that which really matters. Can you save some time for that list every week? If not, can you shorten your errand list to make time for your personal loves? Or what else can you do? Although I work hard at saving time for that which I love, I know I could always do better. Without doubt though, I am thankful for each minute I save to spend with them. Because this is what I want to save my time for. This is what matters to me. 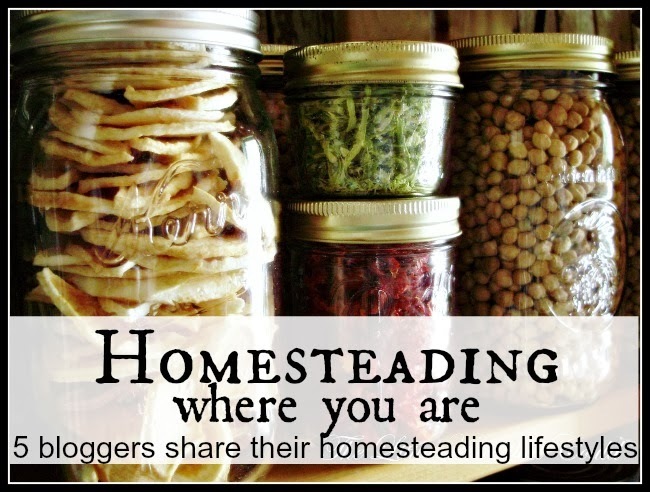 And do check out these other fantastic Homesteaders. They will surely have lots to tell you. Your priorities are in the right place! Time is something we can't replace. So glad you found a system that works for you. So smart cooking extra and freezing it for another week. Enjoy those Littles! Very nice that you were able to speak about your saving experience! Love this post - so very true, and particularly while the kids are little! 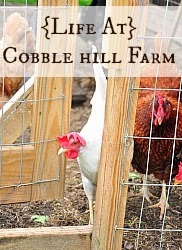 Wonderful homesteading tip! I wouldn't have conventional thought of "save" but it's makes so much sense. I love your list of priorities... fabulous. After reading this, I'm thinking I've got to work on cutting back on errands. I do them too often (and usually my children are in tow). I like your thinking. Time with your children is so fleeting. How clever you are to record life with them in so much detail. I had to smile at the photos in this post. because the children look so genuinely happy. I can imagine how much more they will mean to in a few years when you look back at them yourself. Sounds like you have figured out what works best for you! Making time for the things that are really important in life. How cool that you were on Dave Ramsey's show to tell your story! So awesome. I know a lot of people have had success with his plan.